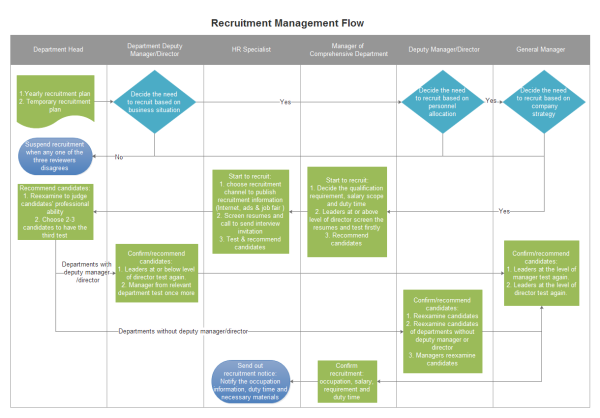 Here is a cross-functional flowchart of recruitment management. View and use this easily customizable template to make your own flowcharts. 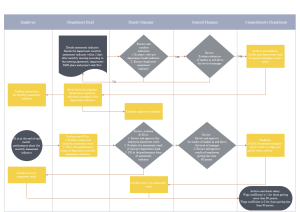 The recruitment management flowchart template is available to download and edit now. Try our flowchart software which is capable in making all kinds of flowcharts including cross-functional flowchart, audit flowchart, program flowchart, IDEF flowchart, workflow diagram, data flow diagram, process flowchart, and more. 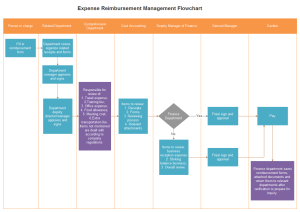 A expense reimbursement management flowchart template is ready to use in vector format for your own designs. A performance assessment flowchart template is ready to use in vector format for your own designs.